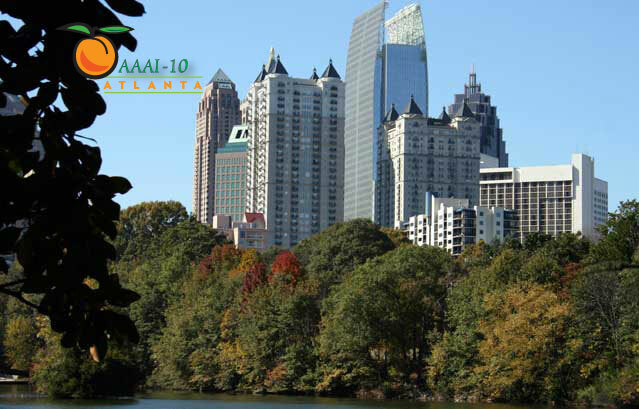 The Association for the Advancement of Artificial Intelligence is pleased to present, in conjunction with the AAAI-10 Conference in Atlanta Georgia, the First AAAI Symposium on Educational Advances in Artificial Intelligence (EAAI-10), to be held July 13–14, 2010. EAAI-10 provides a venue for researchers and educators to discuss pedagogical issues and share resources related to teaching AI and using AI in education across a variety of curricular levels (K-12 through postgraduate training), with a natural emphasis on undergraduate and graduate teaching and learning. The symposium seeks contributions showing how to more effectively teach AI, as well as how themes from AI may be used to enhance education more broadly; for example in introductory computing courses or as a means for teaching computational thinking. We encourage the sharing of innovative educational approaches that convey or leverage AI and its many subfields, such as robotics, machine learning, natural language, computer vision, and so on. A list of relevant keywords is included below. Authors must register at the AAAI-10 EAAI web-based technical paper submission site. The software will assign a password, which will enable the author to log on to submit an abstract and paper. In order to avoid a rush at the last minute, authors are encouraged to register as soon as possible, and no later than February 21. Electronic abstract and paper submission through the AAAI-10 EAAI paper submission site is required on or (preferably) before the deadline dates listed above. We cannot accept submissions by e-mail or fax. Papers must be in trouble-free, high resolution PDF format, formatted for US Letter (8.5" x 11") paper, using Type 1 or TrueType fonts. Papers may be no longer than 6 pages including references, or 2 pages for extended abstract or poster contributions, and formatted in AAAI two-column, camera-ready style (see the author instructions page). Please note that these formatting instructions are for final, accepted papers; no additional pages can be purchased at the review stage. In addition, the copyright slug may be omitted in the initial submission phase, and no source files are required at the time of submission for review. Please also refer to the instructions on how to prepare your paper for blind review. Authors will receive confirmation of receipt of their abstracts or papers, including an ID number, shortly after submission. AAAI will contact authors again only if problems are encountered with papers. Inquiries regarding lost papers must be made no later than March 2, 2010. Accepted authors of full papers will be allocated six (6) pages in the conference proceedings; up to two (2) additional pages may be used at a cost to the authors of US$275 per page. Accepted authors of extended abstract/poster contributions will be allocated two (2) pages in the conference proceedings; one (1) additional page may be used at a cost to the authors of US$275 per page. Final papers exceeding eight (8) pages, or three (3) for extended abstracts/posters, and those violating the instructions to authors will not be included in the proceedings. Authors will be required to transfer copyright of their paper to AAAI. Concerning author instructions and conference registration, write to aaai10@aaai.org. For more information about the Model AI Assignments session, please see the supplementary page. Kiri Wagstaff (Jet Propulsion Lab) (kiri.wagstaff@jpl.nasa.gov). Some AAAI symposia are available as technical reports. For contents and ordering information, consult the symposium section of the AAAI Press Technical Reports Catalog.